A beautiful debutante in Regency London seems destined to make a good match. 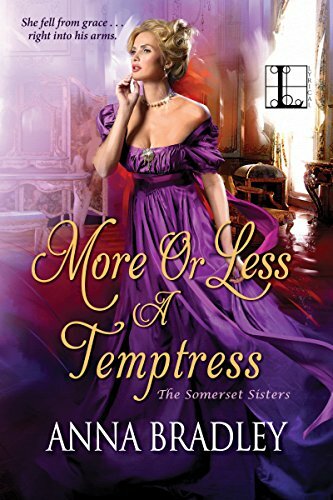 But the Somerset sisters have made courtship and matrimony a deliciously scandalous affair . . .
Hyacinth Somerset’s debut is the most anticipated event of the season, as it will be the reclusive young lady’s first public appearance. But within moments of being asked to dance by a dashing stranger, Hyacinth calls him a murderer, then faints dead away! Now all the ton is a aflutter over Hyacinth’s baffling shun of their most intriguing newcomer—the wildly handsome Lachlan Ramsey . . . Recently arrived from Scotland, Lachlan only wishes to claim his place in society to secure his sister’s future. When that is threatened by the accusations of a hapless slip of a girl, he will do anything protect his family. Yet it appears Hyacinth has only damaged her own hopes, inspiring the label of hysteric—and ultimately inspiring Lachlan to shelter her from harm. Now if only there were a defense for the surge of feeling he has every time Hyacinth turns her gaze his way. If only there were a way to make her his—while keeping the true secret in his past from destroying everything—and everyone—he cares about . . .
Anna Bradley is a new author to me and one I will be reading again. This is book 3 in the Somerset series, and I found you don't need to read the previous books. Oh wow what a man Laclan is, he's tall and very muscular and apparently his hands are huge, on the outside he can be menacing...but underneath is man who doesn't give heart to anyone...but when he does that when you see the real Laclan. Laclan has a very close relationship with his brother Ciaran and his sister Isla...but sometimes Laclan and Ciaran are known to fight each other. Laclan, Ciaran and Isla have left Scotland and are travelling to London, to see Phineas Knight the Marquess of Huntington, because on her death bed Laclan's mother said something to him which absolutely shocked him and its while they are staying over night in a Inn that Laclan and Ciaran are having one of their many fights...but unbeknown to them Hyacinth Somerset is watching them. Hyacinth on the outside is this sweet shy young lady...but don't let that fool you oh no she has temper and it takes a certain man to see the real Hyacinth. Hyacinth is the younger sister of Iris and Violet and its at Iris and Finn's ball that she comes face to face with one of the men that was fighting at the Inn and unfortunately for Hyacinth she makes a big mistake in front off all of Society. As you can imagine that didn't go down well. Overall this is a great book with plenty of laughs, especially from Ciaran who teases Laclan, Isla is outgoing and she doesn't take any nonsense from her brothers. I give this book 5/5 stars. 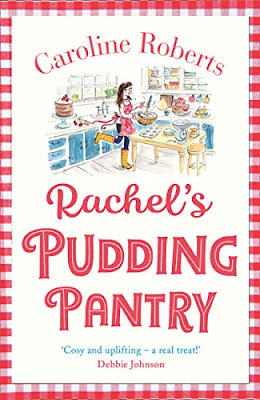 The book is on pre-order at Amazon UK and is available to buy from 13th November.